Artifactory provides a plugin for tight integration with Ivy. Through this plugin, Ivy can be configured to resolve artifacts through Artifactory by modifying properties in the Ivy settings and module files and the Ant build file. And to make things really easy, Artifactory can even generate the corresponding files directly from its UI. Integrating Ivy with Artifactory also makes builds more reliable, because any dependency on remote repositories, or the external network has been removed. Even if a remote repository goes down, or if there is an issue with the external network, the build will succeed since remote artifacts are available from the local cache. But there is another big advantage of Artifactory’s integration with Ivy. 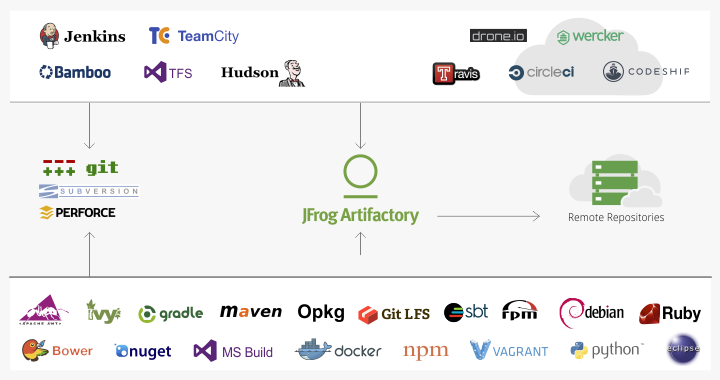 Artifactory generates exhaustive build information and uploads it to a local repository together with the build. This includes specific artifact versions, dependencies, system properties, environment variables, user information, timestamps and more. With this information, it is easy to faithfully reproduce a build at any time. Moreover, with built-in “Diff” tools you can compare builds and therefore know exactly what changes were introduced from one version to another. These capabilities can be invaluable when trying to track down bugs that were reported in specific versions released.